Anyone who carries acid to maim and disfigure others is a coward who deserves to face the full force of the law. That is why we are giving police officers greater powers to help bring them to justice and protect the public from their sickening crimes – which can leave victims’ with life-changing injuries. The police are clear stop and search is one of the most important tools they have in the fight against serious violence - I will continue to give them the support they need to do their vital work. The police service welcomes changes widening officers’ ability to stop and search those who would seek to cause serious harm using corrosive substances. Identifying and disrupting those individuals through the controlled use of stop and search powers is an important way in which we can keep the public safe. As with the range of stop and search powers currently available to police officers, Chief Constables will be keen to ensure that these powers are used correctly in a legitimate, proportionate and considerate way. The Home Office will also keep under review the adequacy of existing powers to tackle offences related to the misuse of laser pointers. Today’s announcement supports the government’s action plan to tackle the use of acid and other corrosive substances in violent attacks. Introducing the Offensive Weapons Bill to prevent the sale and delivery of corrosive substance to under 18s and making it an offence to possess a corrosive substance in a public place. 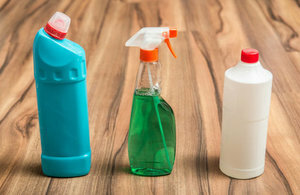 Putting in place a set of voluntary commitments on the responsible sale of corrosive substances which a number of major retailers have signed up to. These restrict access to products containing acid and other harmful corrosive substances and prohibit sales to under 18s.